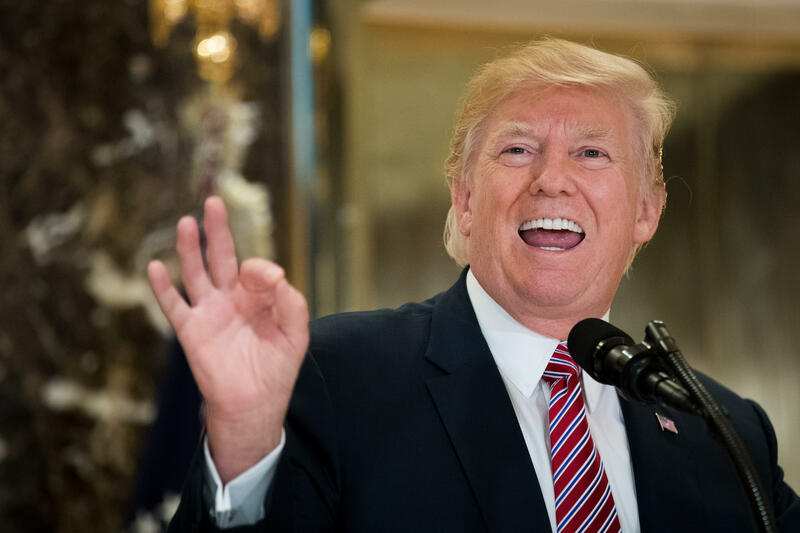 In a press conference Tuesday, President Trump blamed Saturday's violent disruptions in Charlottesville, Virginia "on both sides"-- both the neo-Nazis, white supremacists and hate groups present at the "Unite the Right" rally, as well as their counter-protesters. CBS News' White House and senior foreign affairs correspondent Margaret Brennan was there. "I was just trying to ask the president about what Senator McCain had said," Brennan told CBSN. What was supposed to be a scripted message from the Trump administration on infrastructure development, a key promise from Mr. Trump's campaign for the presidency, quickly changed in tenor with the president launching attacks on what he labeled "alt-left" groups in Charlottesville who "came charging, clubs in hand, swinging clubs." "The president, as you saw, was obviously deeply frustrated and really wanted to unload," Brennan said. "And it was an incredible moment and it was shocking because it got so off the rails." The events in Charlottesville lead to the death of one 32-year-old woman, who died after an attacker behind the wheel of a car rammed into a crowd of people at the rally, injuring 19 other individuals. Although Mr. Trump labeled the driver "a murderer," he came to the defense of the right-wing activists at the rally. "Those people, all of those people, excuse me, I've condemned neo-Nazis, I've condemned many different groups," Mr. Trump said at the conference. "But not all those people were Neo-nazis, believe me. Not all those people were white supremacists. Those people were also there because they wanted to protest the taking down of a statue Robert E. Lee." Mr. Trump's words sent a shockwave through Congress and surprised even his close allies. "White House aides were not prepared for this moment," Brennan explained. Mr. Trump also specifically called out Sen. John McCain, R-Arizona, by name. "Senator McCain? You mean the one that voted against Obamacare? You mean Senator McCain who voted against us getting good health care?" he queried. McCain condemned "the so-called 'alt-right'" movement, calling their attacks on President Trump's national security adviser H.R. McMaster "disgraceful" in a statement released Monday. "The mere mention of John McCain's name, he started cutting me off and challenging, and I was just trying to ask a question-- not challenge the president," Brennan said. "That's not our role, to debate him." "This is a dangerous topic to go off script with because it can get so heated," Brennan said. "This isn't something you riff on, there's a reason why you need to be very careful with your words on this topic in particular."